Mediasmarts (previously), a Canadian media literacy nonprofit, has just released Data Defenders, a timely video game about data collection and targeting aimed at kids in grades 4-6. The game has both a teachers' guide and a parents' guide, and runs in browser with no plugins. The core gameplay of Data Defenders is a “match - three” game that introduces players to key concepts of the information economy, particularly the idea that we pay for many online services and activities with our personal information. The game lasts two rounds. 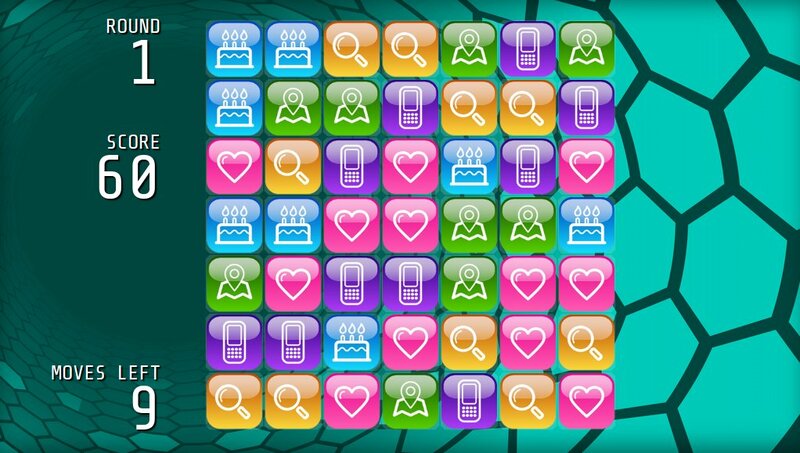 In the first round, players try to get the highest possible score by matching tiles (representing different types of personal information) before they run out of moves. They are introduced to Algo Rhythm, a friendly computer who at first glance appears to want to help people play longer by giving them extra moves in exchange for information. However, at the end of round one players discover that Algo Rhythm is actually an ad broker – someone who collects personal information to build user profiles, which are then sold to advertisers. Players also find out that in addition to their match - three game score, there was also a hidden privacy score that went down every time they gave information to the ad broker. In the second round, players are told that their new goal is to keep their privacy score as high as possible. To help them do this, they are given opportunities to complete quizzes that show them how to protect their privacy online and prevent them from losing privacy points.